Navy Pier could be the next stop on your search for love. On Wednesday, Oct. 17, the pier will host “Spinning with Singles,” a unique speed dating event that takes place on Navy Pier’s iconic Centennial Wheel in celebration of the midwestern holiday Sweetest Day. In addition to mingling on the wheel, guests will attend a reception on the Chicago Elite, a three-story yacht that is typically reserved for private events. The reception includes a DJ, an open bar and complimentary hors d’oeuvres. “I think it’s nice to have a change of scenery, to step outside of a comfort zone, and try something new,” said Navy Pier spokesperson Lydia Jordan-Parnell. “Spinning with Singles” also intends to draw more attention to Navy Pier itself and the unique attractions that it can offer tourists and Chicago residents alike. 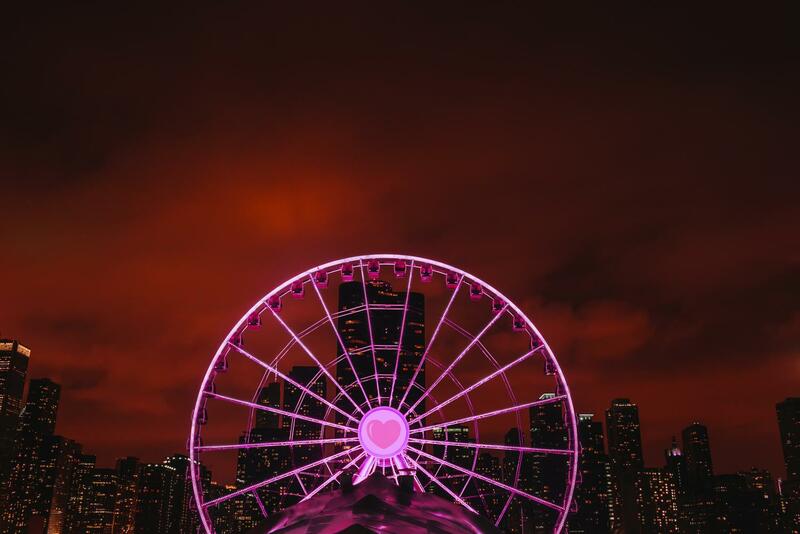 Specifically, the Centennial Wheel has taken focus as both a visual and historic Chicago landmark. In an effort to entice people to return, coupons and free gifts will be given out to redeem at the Pier another time, potentially on a second date. There have been a few Valentine’s Day “Spinning with Singles” events in the past but this is the first to be held in honor of Sweetest Day. Participants often have a great time and sometimes even make that elusive connection. In fact, there have been couples in the past whose relationships have extended beyond that evening, Jordan-Parnell said. With a decision to host the event in October, the temperature seems to have finally switched to cold. Despite the chill outside, the ferris wheel operates year- round because each individual car has heating. Tickets are available as supplies last leading up to Oct.17.